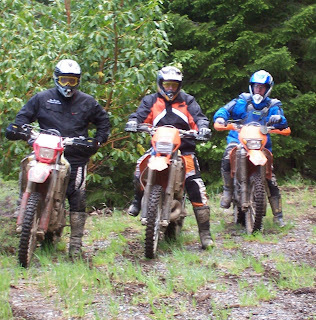 Championing responsible OHV recreation on public lands takes many forms. Often today, those venues are related to the administrative process or legal challenges. For many years, some of you have listened to me talk about my axiom of land use and heard the now famous quote ... “All land-use planning decisions are political decisions.” That quote is not meant to discount the importance of local involvement, volunteer efforts, offering public comments, advocacy, etc. Rather it is offered as a potent dose of reality to new land use leaders who are trying to figure out the federal land management decision-making process. And, to present an explanation of how/why that final decision is made. The confusion for many OHVers is often it appears that science, historic use, or common sense had little to do with the decision. One important, yet often overlooked, effective strategy for championing OHV recreation is proactive support for new OHV-related science projects that may help to provide specific answers/solutions to how OHV recreation is managed on public lands. Read more of Science As a Tool in OHV Recreation on The General's BLOG.